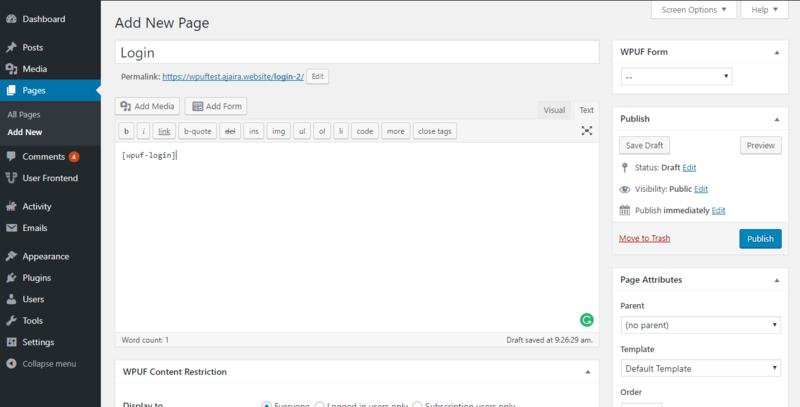 WP User Frontend Automatically creates important pages when you install it for the first time. If you manually want to create a login page, you can follow the below tutorial. In this page, you will find several useful settings related to WPUF login. You can override default registration and login forms with WPUF login & registration feature if you want. To do this, check the Login/Registration override option. Simply, create a new page and put the above shortcode. 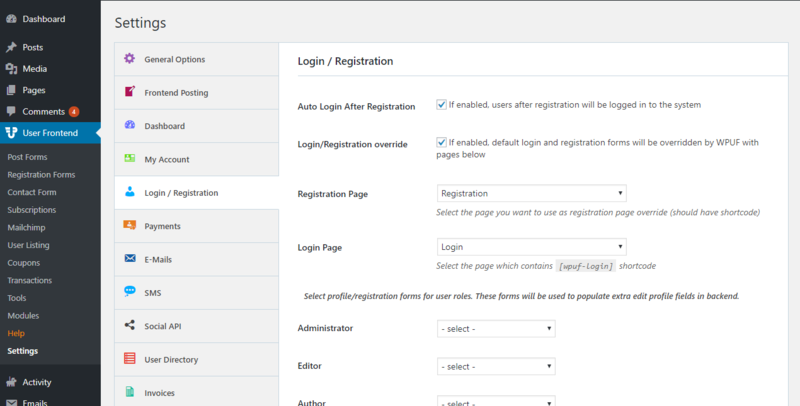 Finally, publish the page and add it to the Login Page option in the settings.